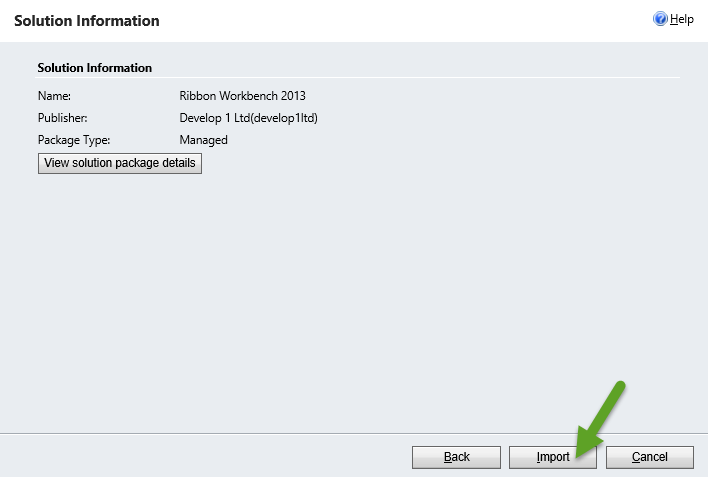 In this post, I am going to explain how to install Ribbon Workbench in CRM Online or On-Premise. 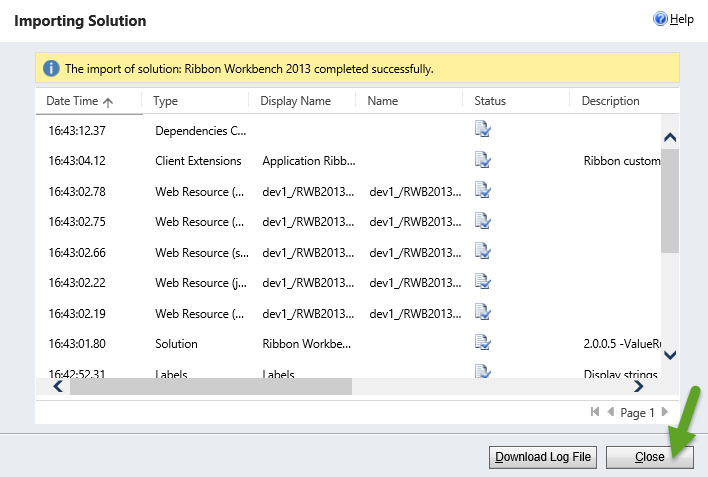 Step 1: Click Here to Download Ribbon Workbench managed solution. Provide your Name and E-MAIL and click on Accept to start download. 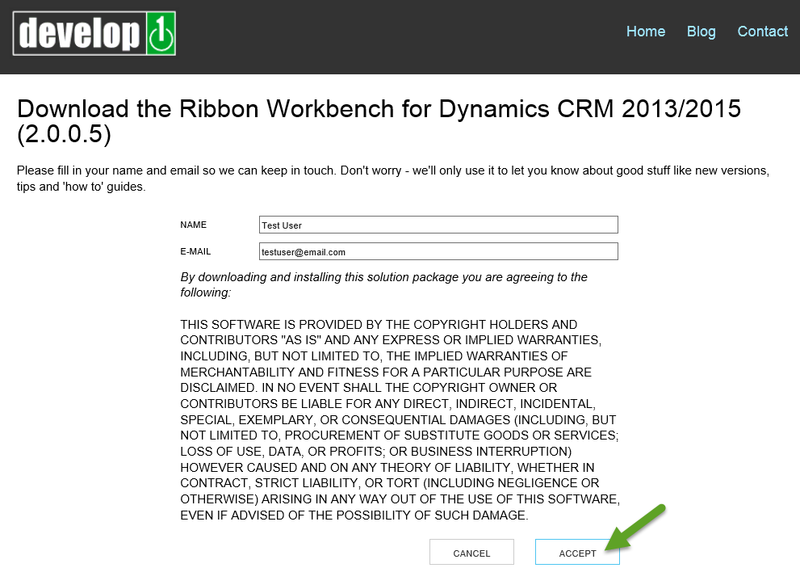 Step 2: After Download, Open Microsoft Dynamics CRM Online or On-Premise. Goto Microsoft Dynamics CRM –> Settings –> Solutions. 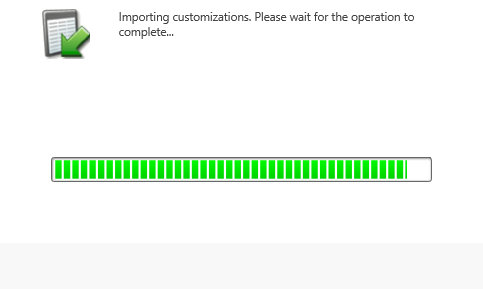 Step 3: Click on Import. 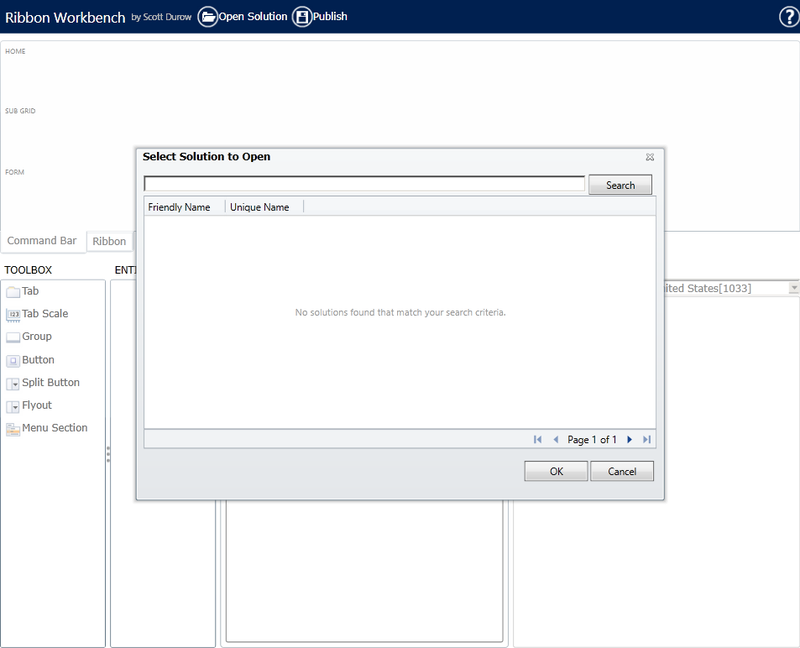 Browse for RibbonWorkbench managed solution and Click on Next. Step 4: Click on Import. 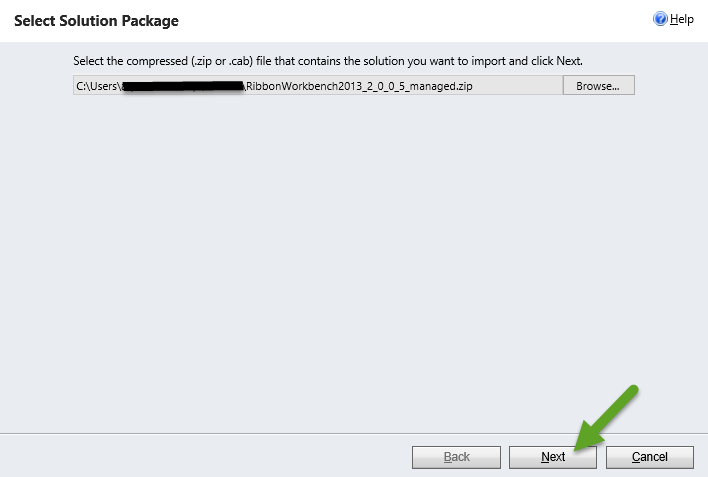 Step 6: Click on RIBBON WORKBENCH, you can see the below screen. If it asks for any updates, update them. You can see more examples on Ribbon Workbench in my upcoming posts.